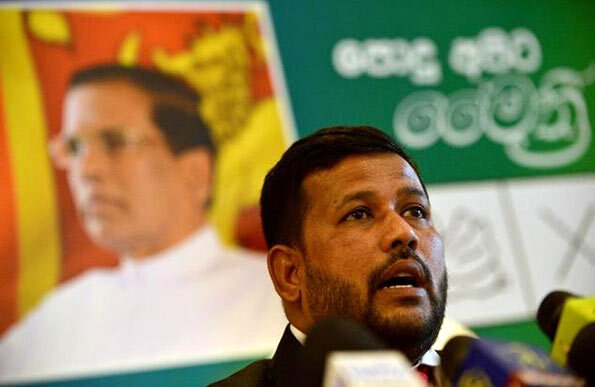 The CID has launched an investigation into an incident where the brother of Minister Rishad Bathiudeen allegedly acquired 600 acres of land in Mannar recently. Police interrogated the Minister’s brother over the incident on the Christmas eve. According to the CID, the suspect has acquired the lands by promising to pay their owners, but so far he has not honoured his promise. The police said they had acted on a complaint and a few more persons would have to be questioned. A former Pradeshiya Sabha member, the suspect had been charged with attacking the Mannar Courts complex and grabbing land from the Wilpattu Sanctuary, according to police. well , well, well , now only fcids and cids eyes were open. I have been telling these kinds of robberies happening island wide by these greedy dogs. put these greedy bastards behind bars for very long term and bye the way grab their all movable and unmovable assets which were not came in to their recorded accounts. more over we can see there are huge black money crocs in sl, our tax department is very lenient and not in 100% incharge, so demonetize high value notes like 5000, 2000, and 1000 with out any intimation, despite all difficulties , these black money crocs will be in inland revenue nets for sure.